Work for Higher Logic Marketing Automation Enterprise? 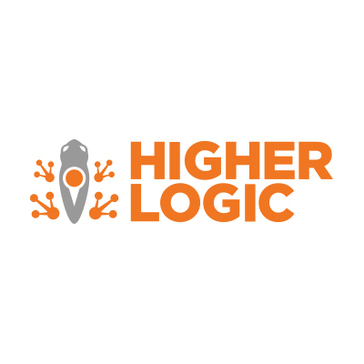 Learning about Higher Logic Marketing Automation Enterprise? "Real Magnet is an Excellent Product"
We can segment our markets for various campaigns and through the analytics in Real Magnet we can follow up with those most interested in the training, service or product we are providing. I also love the monthly reports we can run with regard to our activities and the ability to identify accounts to which promotions need to be charged. There customer support is amazing. One very excellent feature is that we can contact our members with HTML, text and mobile - our mobile opens have increased to 35% of our members. I would like to see a better way of organizing our lists - this may already be available and I might not be aware of it. Also I find that sometimes I cannot get type styles and sizes to match and formatting can be a bit difficult sometime. These are, however, in my opinion minor issues. The survey portion for reporting is a bit cumbersome, but workable. We are able to email people who actually want our information vs do mass to everyone and those that want off a particular list are able to unsubscribe and remain off the list for future emails. The benefits are less costs for emailing members and more satisfied customers. "Real Magnet Has Gone Downhill"
It is very powerful and has great features. Their marketing automation is great, quite intuitive, and was very easy to learn. Since being acquired by Higher Logic, their customer service has gone downhill dramatically. Also, I use it mainly for email, yet the company is now focused on making people use their community platform rather than using email. They did not notify some of us who are long-time users and User Group attendees about their annual User Group via email until the early bird deadline. That was unbelievable to us. Because we use them for an email marketing solution. They told us that they are doing things differently now and not emphasizing email. It's hard to understand why I would continue to use their product if they do not believe it is relevant. This is a great product, but if you need a lot of support, be sure you have a clear understanding of what you can expect. I have talked to other users who feel the customer service has gone way down hill. The marketing automation makes it possible to learn so much more about customers and serve them with solutions that they need as individuals. The combination of an easy to use system with the flexibility to customize to fit my specific needs. The system is very sophisticated yet I've found it easy to use. The integration and tracking of Social Media marketing into campaigns has been a big plus as well. I've only scratched the surface of the system's capabilities. Their Customer Support is top-notch, not only in response time but in their desire to problem-solve. The best I've experienced. Marketing Automation is very powerful. Try a few simple campaigns to get started and a feel for managing. It won't take long to get a feel for it. Once you understand how it works, the full-scale implementation will come much easier. RM has given me the ability to easily communicate with clients and contacts in a very personalized way and trigger targeted relevant follow-up communications based on their interactions with my emails. More frequent clients and contact responses and inquiries, increased measurability of content performance, and superior metrics and reporting are just a few of the benefits realized. "The experience has been superb!" I'm a new user of Real Magnet and the customer service has far exceeded other providers I have worked with. I particularly like the Social Media feature. This has saved a lot of time. I also like how you can move the spacing up, down, right and left in the template/email builder program. This has also been a big time saver. I can't think of anything that I have disliked so far that hasn't been solved through customer service. Customer service, customer service, customer service. That is by far what I have enjoyed about Real Magnet the most. We provide a weekly newsletter, event email and event promotion during our event season. Email substantially outperforms all other forms of promotion for our events. What I like the most is the social media component of Magnet Mail. It save so much time and is the best solution I have used for managing our social media channels. "Intuitive Interface, Excellent Customer Service"
I like how easy Real Magnet's marketing automation platform is to use. I rarely have to create my own type of campaign because they have an extensive set of template campaigns. This helps cut down on the time I spend planning campaigns. I also appreciate how responsive the support time and my account manager are to my questions. One aspect I was excited about but then disappointed in was the ability to resize photos within Real Magnet. I was looking forward to not having to resize every image in Photo Shop, but when I resize in Real Magnet, the image quality deteriorates. The images don't look sharp, so I'm still resizing in Photo Shop. Being able to automate our renewal email series has been a huge benefit of using Real Magnet. I love that we can create custom fields like Paid Through Date, and use those fields to trigger emails. We're also doing a lot of lead follow up with Real Magnet Landing Pages and Marketing Automation. As a small company, being able to automate communications has allowed us to do so much more than we'd otherwise be able to do because of limited staff. I like the flexibility, the fact that we can have many users at once, and the basic functionality that RealMagnet provides. I also really like the "new" editor (not that new anymore, but it's way better than the old one, and more intuitive). I was also very pleased that they offered two recent webinars--one a basic account training, and one about the "hidden gems" of the platform--as that was one of my main previous complaints about RealMagnet--in the past, we sometimes would only hear about certain features when we asked a question--and we'd receive a sort of "obviously, you should use THIS to do that," when there's no way we would have know about "THIS" unless we asked. We're a nonprofit, and I think we're currently at a lower price point that some other customers so that might influence this a bit, but I don't always feel like there's great customer support. In some things (usually account upgrades with a cost associated) there's great support, but frequently we'll call with an issue in an email, only to be told to try something we said we already tried, or to be given an incomplete solution, or to essentially get the equivalent of a shoulder-shrug. I do understand, of course, that some things are out of their control, and some things are affected by our own limited staff/time or users' experience with the platform, but it can be frustrating when we're dealing with a very real limitation of the platform and being met with even very mild indifference. Additionally, it sometimes seems like the company places more emphasis on coming up with NEW account features instead spending time of making the ones that exist work better. I do also feel like there could be better notification of platform-wide issues, updates, etc. (though that has been improving in the last year). Despite my less than glowing review of the product, there are problems with EVERY platform like this. You're never going to have a perfect experience with a mass mailing platform. You just have to decide which issues you can work with and which you can't (and find one in your budget). We send a lot of email with the platform, and also recently (finally) moved toward integrating it with our contact database. That will offer some very real benefits once we work out the kinks (which have more to do with our database, admittedly, than RealMagnet). "Great tool to provide targeted marketing to customers"
Real Magnet's email platform has similar functionality to other companies, but takes the cake for great customer service! They respond quickly to questions and emails and also are open to creating custom reports and campaigns to fit your needs. I feel like the are very responsive to feedback and do their best to make sure you're happy and getting what you need. The software also integrates well with our AMS (Netforum) and makes it easy to pass information between the two systems. Their automation platform is a little clunky. It would be much easier if it were presented as a flow chart. While there is a good variety of what you can do with automation is not intuitive on how to set it up and requires a lot of extra work to make sure you are filtering, adding the correct people into every campaign. However, when I have run into issues they are always available to talk through the process and find solutions. We send a lot of email - in 2016 we sent over 18 million sends. Real Magnet automation has helped us greatly reduce this number in 2017. Through automation and tracking user behavior we are better able to segment our audiences and provide them with the emails they want. "Real Magnet Makes Email Marketing Easy"
The best thing about their platform is the seamless integration with our AMS (Abila netFORUM), which allows us to "set it and forget it" with regard to our key segments - everything syncs according to our business rules, so we can focus more on content. I would love to see the netFORUM integration extend beyond the CRM module, allowing for deeper segmentation from modules such as Membership, Committees, etc. Due to the complexity of both the segmentation and HTML coding, a lot of our email marketing traditionally was handled by IT staff. Real Magnet's easy AMS integration, user-friendly interface, and messaging tools have enabled all of my non-technical users to quickly learn the system, and has allowed us to develop and execute advanced email marketing strategies without getting bogged down by the built-in broadcast email tool that ships with our AMS. The interface for creating messages and navigating the platform is easy to use. They have put a lot of effort in finding out how user actually use the product, and it shows. We are in the process of switching CRMs to one that is integrated with Real Magnet. Until we do that, it is difficult to systematically pull granular information on customer interactions. Real Magnet is still a growing company, with a good deal of energy. If they claim "that feature will be released in the next few months...", it's probably true. They are actively building up the platform, so there are some bugs. Be sure to ask lots of questions specific to your business processes to make sure Real Magnet is a good fit. We leverage the Marketing Automation to onboard a large number of prospects each month. For some of our mass email channels, the improved user interface has allowed us to employ link tracking more systematically. We have also seem a boost in click behavior from visual improvements to our templates, which was easier to implement in Real Magnet than our previous system. "Marketing Automation at your fingertips!" The marketing automation tool is very impressive because it's so easy to understand and to get started with it. You don't need to understand queries or html to create powerful landing pages, target groups, and send event-triggered or business-triggered emails. Another great benefit is that Real Magnet has a dedicated deliverability team that keeps an eye on potential issues and reaches out to us pro-actively in the event of potential issues. However, what sets Real Magnet apart from its competitors is the customer service. The staff is phenomenal and very knowledgeable. The on-boarding and training is first rate, and every single question or problem we’ve had has been addressed in a timely fashion. The one drawback I see is that Real Magnet doesn't yet offer a way to query their database to create new groups based on transaction or behavior criteria. If you need a marketing system with a powerful list management or CRM software component, then this might not be the right solution for you. We've had improved deliverability of our messages, as well as time-savings since our marketers spend less time setting up campaigns. We've also worked with Real Magnet on creating customized solutions that generate the daily email alerts our editors send out automatically. This has been a huge time-savings for our editorial team. Technical support is fast, easy, and helpful. Either a quick call gets a live person who knows what they are doing. Email to support is responded virtually immediately. They know their product - including the shortcomings. They are more than willing to provide workarounds. Luckily, workarounds are needed infrequently. Their new templates are easy to use and provide very easy mobile versions. That they only integrate with NetForum Enterprise but do not integrate with NetForum Pro. That is the only thing that has kept us from using their marketing automation feature. It would also be nice to have more responsive templates. Make sure that your AMS integrates with Real Magnet. Other wise Marketing Automation won't work well. Quality email communication with members about the many products and services we offer but without creating too much email fatigue. Good engagement. Excellent metrics. If we were smarter about it, there are many other features that Real Magnet provides that we should utilize. "Great marketing automation platform for associations." The marketing automation features are intuitive and there are many templates to choose from when getting started. This has been super helpful since we did not have much experience with automation prior to Real Magnet. We have run into some issues with tracking the results from campaigns, but our Real Magnet account managers have been helpful and responsive when addressing these problems. Take the time to go through the demonstrations. It was very helpful to see the systems in action and the RM sales team was helpful without being pushy. We want to streamline our email communication to free up the time AADE staff spends writing content while improving ROI. We are still in our first year with Real Magnet and are still exploring and learning the system. "Real Magnet Exceeded Our Expectations"
Although we had previously had poor experiences with other SAAS companies and their onboarding, training, customer support, and overall delivered product vs. promises, our experience with Real Magnet has been nothing short of fantastic. The platform is able to do even more than we expected. Its flexibility and yet simplicity has been a breath of fresh air. It is incredibly well thought out, and we are thrilled with its capabilities. The message development is extremely user friendly and versatile, and although it does not directly integrate with our AMS, there are avenues to easily create a two-step, 5 minute daily integration process. The social integration is also very beneficial and efficient. Most importantly, RM's marketing automation system has great templates that can be used for a wide variety of campaigns. Additionally, when we have been developing campaigns that have elements unique to our association, the marketing automation workflow builder adds flexibility and ease of use that has been important to our overall projects. The implementation team was fantastic through the startup process, working closely with us and actually caring about how we implemented the platform. As we shifted from implementation to everyday use, Real Magnet continued with their exemplary service levels. They are dedicated, knowledgeable, and incredibly kind. The highlights of RM center around the strength of their platform and its flexibility and their caring corporate culture that transcends the the typical SAAS company. The social integration is fairly new (at the time of this review), and they are continually working on improving that portion of the platform. Although cross posting is available with enhanced features such as Twitter cards, etc., both the posting and the monitoring could use a little more improvement. The administration can sometimes be a bit cumbersome, but their tech support team has assisted every time. We would highly recommend Real Magnet to small to medium sized businesses and associations. We moved to marketing automation to increase our communications with members and future members of our association to develop engaged and informed industry leaders. The shift was immediately evident with both our members and prospects. We are a small office, so efficiency through this shift was paramount to our success. Real Magnet's WYSIWYG platform is buggy, and often renders far differently that what shows up in an inbox. Fonts, colors, and text sizes will frequently be inconsistent within a paragraph or full email, for no apparent reason, and you'll have to work directly within the HTML in order to fix it. Occasionally, messages that are scheduled for a specific time will get sent out up to 15 minutes in advance of the scheduled time. Support often doesn't seem to understand the platform, or will respond along the lines of "yes, we know that's a problem, there's no way to fix it." We use Real Magnet for all our email marketing, because it is an inexpensive option. "Real Magnet is the real thing"
Their customer service is wonderful. Whenever I have a question or a need, they are easily accessible and willing to work with me to get it answered/done. Their platform is versatile and fairly easy to navigate. I love their social media capabilities. I use a Mac, and so sometimes there are issues with the cutting and pasting from my word docs into the email content but we figured out a way around it. This is a very useful and user-friendly platform. Like all technology, it runs into its problems but the team at Real Magnet is always there and able to solve the issue quickly. Highly recommend. Incredible scope to plan and execute professional social media. Email campaigns that are professional and effective. "A great e-mail marketing program"
The clean user interface, the large selection of templates, and the quick customer service. The drag and drop tools make it easy to design mobile friendly e-mails that are fresh and interesting, and the analytics are easy to export and share. Sometimes I run into spacing issues on the e-mail text, but this is quickly fixed by making adjustments to the HTML code. Real Magnet is so easy to use that we have been able to open up e-mail design to more members of our staff, moving our marketing team into the role of approval/quality control. This helps free up our marketing staff to work on other projects. We've also been able to develop a better e-mail brand with templates that are clean and consistent. "Excellent Customer Service, Innovative Features, Great Training"
We have been customers with Real Magnet for a few years now and have been very satisfied with the level of customer service that we receive. The support line is always available and helps to fix issues or help in a very fast and professional manner. The account managers are always very knowledgeable and pay close attention to our needs. The Real Magnet interface is easy to navigate and the editor is streamlined and has many helpful features such as the wysiwyg content blocks and in in template image editor to resize and crop images within seconds! Real Magnet is also always trying to improve features and ensure their customers have all the training and resources at the ready. The webinars and the youtube channel with the training videos are well made and convey all the necessary information for a customer. Historically, Real Magnet seems like it was a baseline email deployment program and as the email world develops, so should deployment programs. With that being said, Real Magnet has made great strides in developing their Automation platform but I think there are still more automation features, specifically with behavior and database integration that they could improve on. Real Magnet is a great company to start with for email marketing. You will learn and on-board quickly and will have a wide range of features at the ready. I do not understand this question fully but I am assuming it is referring to internal roadblocks that Real Magnet has helped with. We are working to better identify our customers and Real Magnet has helped us significantly with their reporting system. There is a lot of data and the ability to drill down specifics such as individuals who clicked on links has been very beneficial in creating follow up outreach. The basic process of creating and sending emails is really quite easy. The drag and drop functions make creating new layouts and templates a snap. The basic marketing automation features are also very useful and easy to follow. The new user interface is also a HUGE improvement over the previous one. Much more pleasing and easy to use. Real Magnet is often quite buggy - fonts won't work, random HTML codes will be inserted for not rhyme or reason, and it does not function equally across all browsers. They also seem behind the curve on some trends. The marketing automation didn't come along until recently, and while it's very easy to use and useful for basic campaigns, common things are missing. For example - the A/B testing campaigns don't let you test multiple variables at once. This is a feature almost all email marketing programs I've used before have as a standard. Another example is the landing page function in marketing automation. Customers can only be added to one group after filling out information in a landing page instead of having the capability for customers to be added to different groups based on their responses. Customer service can also be lacking. Sometimes when I email or call support they'll have absolutely no clue what's going on and ask me to explain it multiple times - before telling me there's not really anything they can do. As a big client that sends multiple emails per day this can be disappointing. We send out multiple emails per day and Real Magnet makes it easy to keep everything organized and in order. The marketing automation function is also very useful. "Incredible Customer Service; Unmatched Technical Capabilities"
One of our favorite things about Real Magnet is our incredible account manager, Catherine Curtain. She is one of the most responsive people I have ever encountered. If she doesn’t know the answer to something (which is very rare), she will identify the person who does. I also love how easy the interface is to use. Our company has really enjoyed the recent upgraded features, which Cat graciously came in to explain. There is very little I dislike about Real Magnet. The only concern we had before was that the images were hard to identify, but this has been fixed with the recent upgrade. I would perhaps like to see a few more training tutorials on automation. Don't think twice. They are great! We send out a lot of email. Real Magnet’s automation features have freed up a lot of time for us, allowing people to be better utilized working toward our company’s business goals. We look forward to working with dynamic content more in 2018 and to decreasing our manual processes even more. "Good tool for internal communications"
Real Magnet is a tool that's easy to use and offers good flexibility. There are enough options to develop any flexible template of your choice, and training is not a barrier either. Good baseline reporting, good price for product. I think organizing content better (via folder structure with permissions) would be a huge add. Still not sure how this is done today. Also, more detailed support documentation. Get a POV about your branded templates. Get a strategy in place in which this tool is used for all emails, not some emails. Be ready to analyze and report the data you see. Measuring results, particularly via email. Now, we set goals before each message is sent out --and then track them with open rates, click throughs and even whom is opening messaging. Real Magnet is constantly thinking of things from the user's perspective--and, even better, the recipients' perspective. We've been Real Magnet clients for more than 10 years. The "classic" editor was a little clunky and required a lot of fiddling. Their new user interface is such an improvement! Our association, like all associations, has a handful of very distinct audiences and a lot of internal staff trying to talk to all of them. Real Magnet lets us keep close track of who is getting what, and what is working the best for us in terms of getting our members and stakeholders the content and info they want and need. "Real Magnet is delivering real results"
Real Magnet has a simple and streamlined approach when it comes to email, social media, and automation. RM has the best customer support of any ESP I've used. Our account manager Mike is always there to help and has a genuine interest in our success. Automation and Real Magnet's integration with our database netFORUM is changing the way we approach email marketing. Automation in the past was something only for companies with large staffs and dedicated expertise. If you're an association looking to automate renewals and welcome series for the first time, set-up a demo with Real Magnet. I've used other automation systems that are overly cumbersome and complex, taking hours to set-up the most basic automation program (I personal blame this type of software for the low saturation of automation in the association world). Real Magnet's approach makes the process as simple as possible and really takes away any fears of setting up your first automation program. Every ESP has its own unique quirks, but nothing to complain about. I do have to give their staff props for always listening to users’ feedback and constantly improving the system and staying up-to-date with the latest industry trends. Set-up a sales call, their staff is extremely helpful and genuinely interested in providing custom solutions to take your email marketing and automation to the next level. We personally worked with Dennis and he was great. We looked at multiple email providers and Real Magnet fit our current needs the best. We were using multiple email providers before. Real Magnet has allowed us to consolidate all our unique email requirements into one system and, more importantly, record all information back into our database, netFORUM, so that it remains our database of record. Automation is at its core and we've been able to leverage RM for renewals and a welcome series (including automating the corresponding print pieces). Other benefits include responsive emails, preference center, A/B testing, user behavior tracking, social media management, and much more. "Long time Magnet Mail user"
The product is easy to use and manage. If we have any issues or need a new employee trained support is always responsive and able to resolve any issues (even user error) quickly. The product also allows us to share email lists and have a history of past outreach. We have several employees who use the product regularly and even have interns jump in and help create lists. Over the 5+ years we have been using the product we have not had any issues with the product or service. I wish I had more time to explore all it has to offer but our sales representative keeps us abreast of new product offerings and available services. Definitely consider Real Magnet. It has improved our business processes and increased our outreach capabilities. Real Magnet has helped us to grow our outreach lists and increase our social media following. We send a weekly newsletter and are able to easily cross promote the newsletter and individual articles through our twitter account. We have used other social media products that have their own built in email capability but often run into deliverability issues. Over the last 5+ years with Real Magnet we have never had an issue with deliverability. "Great Email Marketing Product for a Small Business, an Association or a LArge Team Based Company"
We appreciate the response time by the team, the ability to automate emails easily and the ease with which we can create emails on a template. The tool is a great all around tool to build branding and send messages out to our members. Some of the tools for organizing files can be a bit cumbersome. In particular managing images and the image gallery in the way we use it is not user friendly, causing us to often just upload an image again rather than find where it is already hosted on Real Magnet's Servers. We have been using Real Magnet for 8+ years for all our Association emails that we send out to members and we have had a great experience. The deliverability is great. They are constantly improving the product and offering new services to make our lives easier and if there is ever an issue or a change we need to have made, they are responsive. We do not use the automated features and links to our AMS, but the upload tool is easy to keep lists up to date for all our email needs. Having attended one of their conferences, I can say they are a great team of people that put a lot into the product and are excited about things down the pipeline. I would recommend using Real Magnet for your business/association. Our association is solving the problem of communication with our members. Real Magnet allows us to easily send a well formatted, graphical message to all our members with the click of a button and measure opens and clicks. This makes managing who to send messages to and confirming it was sent a breeze. We can also have multiple people able to send emails on behalf of the entire association. Simplicity. Real magnet is a simple tool, like Constant Contact, to use for anyone that has any EMS experience, but the features are limited based on your package. The customer service is quite helpful as well and can resolve issues/inquiries quickly. The mobile option is not truly responsive, but rather it creates another version of the email that can be viewed on a mobile device. It is a plus because you do not need to know how to code for mobile, but it is not truly optimized to create responsive design emails. Also, it could be the company I am with, but it would be ideal to see or create the full thread of a campaign (email, list, report) in one place. If you want a simple solution that also allows for dynamic content, go with Real Magnet. If you want to do any segmentations based on behavior, make sure that data is available elsewhere so you can upload the contacts to RM. We are pursuing dynamic content. The greatest issue is list consolidation and moving toward automation. There are several things that need to be in place (such as a data audit and integration of various systems) before relying on an EMS to do certain things. The new templates section makes it really easy to create a new or similar email. I also enjoy how easy it is to upload contact lists. Some of the unsubscribing/list management tools can be frustrating to use. I went through a period of time when they would not alert me who had unsubscribe from the list I uploaded. I had to figure it out manually instead. Some of the section headers are also a little misleading (i.e. reports, tools, etc.). I have learned how to easily create mail and send it to a big list in a succinct and timely way. "Enhancing Communication with Real Magnet"
There area number of things that are great about Real Magnet starting with its ease of use. Its marketing automation, integration, dynamic content, and analytics are all easy to use and allows me to jump right in and start on a project and to be much more creative. I would like more information on best practices or what other clients are doing that are innovative. Not only is there great customer support but Real Magnet is always on the cutting-edge of technology and constantly seeking to improve their services and overall performance. This in turn helps me do my job better and communicate more effectively with our members. It has helped me to segment a very diverse member base to deliver better content based on their individual needs. Real Magnet is fairly simple to use once you get the hang of it! And they offer NUMEROUS help options and their customer support team is fantastic. They are so quick to help and very knowledgeable about their product. Real Magnet also does a great job at keeping up with current trends. They offer multiple webinars about different marketing tactics and have introduced marketing automation. The software can be finicky at times, but not extremely often. In the past, we have been able to market our conferences, publications, and events with the basics that Real Magnet offers. We received approval from our executive director a few months ago to utilize the marketing automation and iMIS integration feature through Real Magnet. This will save our time so much time and will offer more in-depth statistics for reporting purposes! It's a good overall platform. It has robust functionality and can accomplish anything you're looking for in terms of automation, so long as you know what you're doing. The email editor is quick and user-friendly, but you can also manipulate HTML directly. Real Magnet really differentiates itself with its customer services. We've needed a lot of customizations including integrations and building out over 100 sub-accounts. They don't nickle-and-dime you like other SaaS providers, and their team is on-point. They're constantly developing the platform, so sometimes those new developments have bugs to deal with. It's never been anything major, though. I needed to build out a marketing automation program at my company. I require more than just nurture drips and behavior-based triggers, and I need articulate control over everything. Real Magnet has provided that. "We love Real Magnet and you will too." We switched Real Magnet from another more technically complex email solution because it was so user friendly. We've staying with Real Magnet for that user friendly-ness and for what we have found to be an excellent support team. From our standpoint, there isn't much not to like. They are constantly improving and adding new functionality. We're looking forward to their recently announced upgrades that should address some minor issues in the interface. Don't hesitate. This is proven software with a great support team. We rely very heavily on the email channel to market the many events we hold across the country and in some foreign countries. Real Magnet allows us get the word out for all our events. In fact, the business unites responsible for revenue on those events routinely say that every time we send an email out for one of their events, they see a corresponding uptick in registrations. That's powerful stuff. "Excellent AMS integration and marketing automation"
Real Magnet integrates seamlessly with our AMS, Abila's netforum, allowing me to pass information back and forth to easily create automated marketing, renewal, and welcome campaigns. The built in tools help our team create responsive email designs without coding knowledge, and their support has always been prompt and helpful. There are very few things I'd say that I dislike, and when I have shared dislikes in the past they have been quickly addressed by the Real Magnet team. For example, we requested functionality for including pre-header text to preview in inboxes, and Real Magnet built it. When the photo editor tool was buggy, they created a solution to improve it. An easy-to-use, robust email marketing software with solid integration capability. We needed a program that supports automation, that easily integrates with our complex member database, and that had the flexibility to easily work for multiple brands and multiple teams within them. Our major automation marketing campaign to students has helped boost conversion rate from somewhere around 15%–20% all the way up to 40%–60%. "Easy to use and awesome analytics"
MagnetMail has always been easy to use and over the years they have developed a great training library that I use for training up my colleagues. The graphical user interface has always been intuitive and RealMagnet stays at the forefront by keeping up with change. Also, I can add as many new users as needed which is a great help. Email marketing has grown over the years and once person cannot do it all these days. Unfortunately, my list of users changes as employees come and go. Employees who left cannot be deleted without deleting what they've worked on. So when I go to review or update user access levels, I often has to scan through a very long list of users, as we have been using this product since 2010. I love this solution. I compared it against at least three other solutions and ended up choosing this because it was easy to use. As we moved forward with this, another one of their greatest assets became apparent - they have a phenomenal response team. I'm always able to get a hold of tech support even if it's after hours. The tracking of this is phenomenal. I can track how well or how poorly certain types of messages have been performing years ago versus now, which is instrumental in helping us make decisions for the better. "Responsive support, attentive Account Managers, continuous platform improvements"
What's impressed me most about Real Magnet is their responsiveness. Our account manager checks-in with us on a weekly basis (sometimes more often) to make sure we are getting the most out of the tool. Support tickets and feature requests we submit receive thorough, thoughtful responses in less than 24 hours. Real Magnet is not a perfect fit for everything we want to do with it, but it is a no-brainer for me to recommend sticking with it. Their development team regularly releases enhancements and improvements. Feature requests we submit have already been deployed. Other features further down in their backlog, we know can be custom developed for us by Real Magnet for a reasonable additional fee -- and I do mean reasonable. At no point have I felt "nickel and dimed" by Real Magnet nor taken advantage of. We have an in-house development team that could customize things more for us via the Real Magnet API, but the team at Real Magnet is so gosh darn responsive that I often find it easier/faster to let Real Magnet handle it. There are some quirks to using the template editor that confuse our technology-challenged users. The UX and naming conventions within Real Magnet can add to that. Usually the things about Real Magnet that we don't like or that cause confusion can be fixed with extra training of our end users. The bulk of our "wants" list is cosmetic, not functionality related. To be most effective, I would recommend committing an FTE purely to email management if possible. The majority of our communications with members are in their inboxes. Having at least one person that all staff can go to for assistance and who has a holistic view of all email activity across the organization has been crucial. We are overhauling our entire digital communications portfolio in a proper transformation project that has spanned the past 2 years. We chose Real Magnet after reviewing several alternatives and initiating a pilot of Real Magnet for a small group of internal content creators. Our major goals were to streamline content creation, increase digital engagement, and ultimately to provide a personalized experience for members across all our platforms (web, email, direct mail, social). Real Magnet's permissions settings allow our communications admin team to fine tune each staff person's experience and access. This eases the burden of having to police each user account, which has been a major pain point internally. Other benefits range from embarrassingly basic (embarrassing in that we didn't have that functionality before) to beyond our expectations. We are finally able to compile reports on email activity across all internal departments. We can now track and better govern what emails get to our members's inboxes. We have been able to nurture an organizational mindset shift towards targeting communications more, using data to make decisions, and think of emails not as individual messages but as just one part of larger digital campaigns. This mindset shift has been the most difficult, but ultimately is the most rewarding because it also represents a culture change within the staff. Real Magnet may not be wholly responsible for this culture change, but it has certainly helped expedite it. Our internal staff feel empowered to take control of their content and now have access to the analytics (and training) to help them maximize their email communications. As a colleague put it, "Real Magnet makes me feel like a data geek. I'm very okay with that!" "Real Magnet - User Friendly, Multi-Purpose Outreach"
Real Magnet is a one-stop solution for the email communication chain. It has so many tools and templates, and integrates so seamlessly into our other sites and systems, that I can do everything in minutes. The HTML conversion can be glitchy. Particularly when copying from an external HTML editor, formatting gets lost or characters get garbled. The editor tool also lacks flexibility, sometimes, to do really complicated formatting. I would highly recommend Real Magnet to anyone who wants to reach customers, whether for marketing or simply communication and feedback. Experienced marketers and designers can benefit from the robust functionality, while novice communicators have access to tools, templates, and support that make it easy to learn and use. My team primarily uses Real Magnet for customer outreach like notifying users of product changes or soliciting updates to account information. The marketing automation features have made it easy to track who has responded and to run reports of the responses to easily update our records or view tends in the feedback we receive. One huge benefit is that we've gotten back the time we used to spend manually cataloging customer replies. In addition, we no longer to have to use messy spreadsheets to track which customers require additional contact. The ease of sending out a basic message, along with the simplicity of their system when it comes to updating text/images for each message. We worked closely with their in-house designers on our template, and they were able to recreate our own internal design on their end with relative ease. They're super easy to work with, very responsive to any tech issues, and overall a pleasure. Slightly complicated to review analytics for each issue; there should be a very basic dashboard with simple data that loads quickly and then more detailed options. Right now, it takes 30 seconds or so for the 'basic' dashboard to load, and then to delve into each item (opens, clicks) requires numerous clicks and a decent amount of back-and-forth. It's also slightly complicated to do basic A/B testing on subject lines; you have to go through an entire marketing automation sequence that could be streamlined if all you're looking for are the basics. Be vocal with them if you have questions or concerns; don't just guess. They'll help you out. They're also very open to suggestions; if something doesn't make sense to you, it probably doesn't make sense to others as well. Recommend a change to their system and they might just make it! Our old system was an absolute nightmare; it's great to work with competent people and also gather analytics that we can trust to determine next steps. We also know that any changes we make down the line in terms of design will be handled properly on their end, and the care given to our newsletter will be top-notch. "Vastly improved interface caters to both coders and communicators"
The latest versions of the WYSIWYG editor for creating HTML newsletters are vastly improved over what existed prior. Whereas previously I would have to code and send all newsletters myself, now the door has been opened to train communicators to send their own HTML newsletters with little to no HTML/CSS experience. There is still room for improvement in the WYSIWYG editor, and I always have to include in my training to others notes about the various bugs that occur when trying to change font styling from one look to another. I understand that this problem is intrinsic to most WYSIWYG editors, but it still is a point of aggravation. Some non-technical folks have a hard time wrapping their head around why they would have to change a line of styled text by starting at the 2nd letter, typing their new phrase, and then go back to delete the first letter (in order to avoid accidentally deleting the associated font styles). I haven't found a way to delete uploaded images either or even overwrite an existing one, which is either something that's just not made apparent to me or a glaring oversight. If possible, it's best to learn from someone who has experience with Real Magnet, as there are not a ton of resources available online to learn from. In my organization, we are trying to maintain a contact database and send mass emails all while collecting data on open/reads. The rate at which we can produce said emails is the greatest benefit we have realized. "Clean user experience with a few bumps in the road"
There are a few hiccups that you'll hit along the way, that I feel could be smoother. For example, I've used other email marketing platforms that auto-update the HTML and web view, but with MagnetMail, you have to manually refresh. I'm also getting used to lists/messages/send/track being siloed into their own compartments. With other platforms, it's more of a step-by-step process within itself, whereas with MagnetMail, it presents separate processes. Not the worst thing, but definitely takes some getting used to. At my current organization, we are trying to get away from sending larger scale client email campaigns through Outlook and move them to MagnetMail, mostly for tracking purposes. "A Vast Improvement for Our Internal Marketing Emails"
The layout is clean and it's easy to move components around. Having specific sections pre-sized within their respective templates makes it easier to construct a visually-appealing email blast without having to reinvent the wheel or waste time deliberating about the "right" resolution of your accompanying images. I wish there were more and better organizational tools available to me, specifically with archiving old emails and assets. I submitted a support request to have folders activated, and their team responded quickly, providing me with folder functionality for old emails. However, the navigation of these folders affects what you can see when you click different tabs at the top of the interface (which I did not know at first), so there are some minor annoyances associated with having to back up in my browser to access a different folder, just so I can review/edit a contact list, for example. Additionally, I'd really like to be able to archive some of the folders and subfolders I've created within the email building toolset, but the options I'd be looking for are either absent or are grayed out. No concerns. Overall, this is a terrific way to enhance and simplify your email needs. There are, of course, other features that my company's Marketing team uses, but for my use the product performs admirably. My use of the system is strictly for internal communications to 1,000+ employees. Feedback has been overwhelmingly positive since my department began using RealMagnet. Some of the best customer service reps iI have ever encountered! Khaili and Rosie are always ready to help with a positive attitude and the utmost patience and Mike is an attentive account rep as well. I really appreciate the personalized support I get every time I call in. I would recommend Real Magnet to anyone trying new marketing automation technology for their business. I find the social media feature to be a work in progress. We use Social Magnet to post our email messages to our Facebook and Twitter accounts, however when it posts to Facebook it does not generate a link preview image. Also, we are unable to post on multiple Facebook Pages or Twitter Accounts at once, has to be one each. Establish a relationship with your account manager and your support team. They are very responsive and have helped my company a lot. One of our primary concerns was getting more qualified leads for our clients. Real Magner satisfies that goal with clicker notifications, website revisits, and email retargeting giving our clients more chances to follow up with qualified leads. "RealMagnet makes email marketing easy." The ease of use. The interface to create the emails is intuitive and easy to customize; updating emails and creating mobile versions is simple. I like having the ability to schedule my emails in advance. Even managing email lists is easier. I'd like it to be a little easier to organize our files within RealMagnet. We can organize our messages into folders, but switching between folders takes a few more clicks than I'd like. And it's hard to sort through all the views of lists uploaded from our database - I wish there were a filter to only see views uploaded by a particular user, so I don't have to sort through all the lists that my colleagues have uploaded. Take advantage of the experts on the RealMagnet team - they are incredibly friendly and knowledgeable, quick to recognize problems and to jump to find solutions. With RealMagnet, we can now draft, edit, schedule and send emails without being in the office- it's a great solution for people who travel, telework, or are concerned with business continuity planning. Using RealMagnet to manage our email unsubscribes has not only simplified processes for us, but has also allowed us to better target our marketing, since we can now let people opt in or out from specific message categories instead of just one universal unsubscribe option. But mostly, we are benefiting in the amount of time we save - we are able to create and send our marketing emails in a fraction of the time it used to take us. The email creation interface is easy to use and allows for wide variation in design and content placement. All of the Real Magnet support staff have been responsive, timely, and polite when we have had problems. Once you get used to the template editor and know what to look for based on deliverability testing, the entire process, from concept to reporting, is fairly painless. We have run into difficulties with our social integration; it has been difficult to export consistent and accurate data using this tool. It would also be nice to be able to delete posts directly from Real Magnet rather than needing to go to each individual platform. There are certain limits to the automation tools (like A/B testing for ongoing campaigns) that would be nice to have, but haven't strongly impacted our process. Real Magnet is an excellent tool to improve your marketing reach. Be vocal with your account administrator about your ideas and your needs because, if they don't exist, your recommendation may lead them to be available soon. The Automation functionality allows us to set up campaigns that run consistently in the background. We have been able to target groups that we couldn't before and gain consistent conversions with only minimal set-up effort at the beginning of the campaign. It is extremely simple to track the results of these campaigns at a glance (using the dashboard) or in depth (going into individual tracking information). By combining landing pages and follow up campaigns, we have empowered our members to more easily make referrals and expand our membership without adding to our workload. We are also able to better track those referred to our organization by these means. "Fantastic capabilities, waiting on some improvements"
The marketing automation functionality of Real Magnet is the reason we decided to use them as our primary email provider. The ability to create organizational efficiency, connect with our customers using a data driven approach and customize our emails to fit the needs of our customers sets is outstanding. Real Magnet's willingness to add technical requests to their road maps that help fit our needs makes them a great partner who is working to shift the changing needs of the marketplace and their customers. The email dashboard capabilities are a huge challenge to my business. Being a data driven company, we want to have the oversight of our email trends for a number of capabilities and the data within the non-automated portion of system is clunky and difficult to use. The automation data is visually appealing and a great benefit for a report on an individual send, but the inability to review trends by categories, open rates, click through rates, etc. makes it difficult for us to make data driven decisions for email. The SMS tool is also something we are interested in, but the lack of automation capabilities are also a huge challenge for our business. Real Magnet is fairly intuitive to use, but it does not have the drag and drop functionality of some of the more basic email systems. Their strengths lie in a product that is built for organizations that want to take their communications beyond basic functionality and into the realm of truly customizing and automating customer communications in a smart and thoughtful way. We're trying to centralize our communications into one tool that has the bandwidth to send many emails in different formats and house one location for customer communications. The ability to formulate personalized and dynamic content based on data points is excellent. The integration with our data management system allows for a seamless flow of information in real team so that we are sending communications based upon current customer data - allowing for clean email sends and a cleaner database. "User Friendly Interface and Superlative Service Makes Real Magnet the Best Tool for Associations"
Association executives wear many hats - few of us have the luxury of a dedicated e-mail marketing professional. Yet, email remains the best channel for communicating with members. Thus, it's vital to have access to an easy-to-use tool that keeps your association on the cutting edge of email communication with minimal investment of the chapter director's time. Real Magnet is an exact fit for my needs. More importantly, the service team is uber-responsive when I have questions or issues with deliverability. Also offers integrated survey and social media add-ons as well as marketing automation. I would highly recommend attending the conference to gain hands-on experience and make connections with various members of the Real Magnet team. I wish Real Magnet offered more frequent training sessions. The company offers excellent videos but I would have preferred in-person training to orient me to the new tool. I would like to see my organization implement full integration with our association membership tool and offer access to the integrated survey tool and marketing automation - that's not a ding against Real Magnet - just something that needs to be worked out. I have use other email tools in prior positions, but prefer Real Magnet. As with any tool, the people make the difference. Can't say enough good things about the ease of access to expert resources and the helpful attitude of the Real Magnet team. It's a time of change for membership organizations as new, younger members seek a different value proposition than more tenured supporters. The ability to easily curate, create and generate email communications to membership sub-sectors is vital to the success of any membership association today. As my skills with the tool have progressed, I have seen our open-rate improve and attendance at events increase. With the help of my rep - Mike Colavita - I've been able to call upon deep resources to troubleshoot deliverability issues with individual members. I look forward to using the marketing automation function and survey tools to increase member satisfaction levels and measure loyalty scores. "Functional w/ responsive customer service, but not not the greatest UX"
Range of function. RM does most everything we need for it to do. And the company has been responsive to our needs for tweaks here and there. The wysiwyg editor is buggy. It's tricky making adjustments to font sizes, formatting, etc. And, as others have mentioned, figuring out how RM can do what you want it to do (w/r/t campaign design, functionality, and formatting) is sometimes less intuitive than it could be. If you need a more affordable product and can put in the work to figure out how to design campaigns from scratch, it's worth it. We wanted to better leverage reader preference and better segment our marketing messages. We have started to manage this, but have a way to go yet. The support team is the best in the industry - very informative and friendly team. I have nothing to list as a dislike but I have a 40 character minimum. I have worked with the Real Magnet team and their interface for over 10 years and would highly recommend them to anyone considering. The ease of use of the Real Magnet interface paired with the friendly and informed support team allow me to do my job as an email marketer more efficiently. We were looking to send email communications more efficiently and Real Magnet allowed us to do this with an automated opt in/opt out process. Our organization also went through a re-branding and we were able to create RMA branded templates and make updates and changes through their new web editor. "Real Magnet is user-friendly, intuitive, and great for marketers new to marketing automation." Starting out in marketing automation can be a daunting task. You not only have to worry about developing the emails and content, but now you need to think through all the different scenarios, come up with different but engaging series, set up rules, segment out your audience, figure out timing, etc. Real Magnet really does simplify the whole process. Not great with email design? Real Magne offers a variety of email templates to work with. Not sure how the whole automation thing works? Real Magnet breaks down the setup of an auomation campaign into a few easy questions. And they offer common automation cmapaigns, incuding Welcome series, drip campaigns, event promotions, birthdays/anniversaries, and more. Managing your email lists and integrating your social media efforts are quite easy as well. We have come across some challenges with the images folders/archive. Anytime you'd like to edit an image, it will be saved as a copy. And most of the time, image editing takes us a couple tries or two to get it exactly right so we end up having multiple images in the image library. I should say though that you can organize and delete images through their Message Tools but that requires additional clicks and there is the risk of deleting an image that is being used in a live email (which will prevent the image from appearing in those emails). As a full-service communications and marketing agency, we are constantly looking for new business and opportunities to expand our client base. As such, we need to engage with prospective customer (and existing customers) on a resgular basis. But how do we do that? The answer was developing an email nurture program and adding an email signup button on our website. Visitors are encouraged to sign up to receive regular updates about industry trends/news, agency announcements, upcoming events, etc. There are a number of benefits to this--continual engagement with our target audiences, integration with our social media marketing efforts, lead scoring capabilities, and providing personalized emails using dynamic content. And like any agency, we are constantly improving and evolving. Real Magnet makes it easy for us to can edit/revise/change our email marketing campaigns quickly and efficiently with new brand positioning, udpated services/offerings, etc. as we need. "Real Magnet, Perfect for Our Organization's Needs"
The ease of use and overall functionality of Real Magnet has been a major step in the right direction after years of headaches using another platform that will remain unnamed here. Their customer service is fast and friendly and their product fits all the requisite needs of our member-based organization. From customized e-mails to e-mail and social media tracking, it has everything to fit our needs. There is little that I've found objectionable about Real Magnet's product. I suppose if I had to come up with anything, it would be the need to create a text and smartphone version of each e-mail in addition to the standard e-mail send. Real Magnet has been a fine program to work with, its support quick and helpful, and a definite change for the better in terms of our organization's communication abilities. We have been able to better manage our member database, track their usage and response, as well as review what, if any, potential changes need to be made on our end from month to month. "Easy to use, looks great"
I send several emails that recur on a regular basis (some weekly, some monthly). I appreciate being able to use existing messages to build new messages. This saves an enormous amount of time. I often have to go into the html source code to adjust things like font size, color, and links. The editing box often doesn't reflect changes to the code. And often extraneous code will pop up out of nowhere. I wish there were more options to customize templates myself rather than having to contact Real Magnet to do it. Real Magnet makes it easy to track who has received messages, who opens them, and who deletes them. The tracking features have helped us know when it's best to send messages to get the biggest impact. Real Magnet's support team is not only incredibly knowledgeable, but they express an actual desire to help. Whether having issues with layout, deliverability, reporting, or any other host of problems, their team can usually assist on first contact. When that first-contact resolution isn't possible, they are very responsive and are able to resolve issues quickly. At times, the email editor can be a bit glitchy. However, these times are few and far between and usually occur when we are using the templates outside of how they were originally designed. Clearly define your needs beforehand to ensure that the features they provide fit your needs going forward. Our company is primarily event-focused, so showcasing these events is key. We have worked with Real Magnet to improve our open rate, click-through, and overall deliverability. We work in many email platforms and Real Magnet is by far the most user friendly, which helps us execute marketing campaigns for clients across the country. The versatility of the application has proven itself over the years through surveys, text, HTML and mobile emails, marketing automation and API capabilities. The inability to save the sender profile for a message (From name, reply name, email address), it has to be typed in each time you send a message or message test. Real Magnet has provided us with a turn key solution for email and digital marketing for the last 10 years. They have provided us with exceptional customer service and solutions for all of our digital marketing needs. * We monitor all Higher Logic Marketing Automation Enterprise reviews to prevent fraudulent reviews and keep review quality high. We do not post reviews by company employees or direct competitors. Validated reviews require the user to submit a screenshot of the product containing their user ID, in order to verify a user is an actual user of the product. Hi there! Are you looking to implement a solution like Higher Logic Marketing Automation Enterprise?